What can be more fall and stylish than Miss @cocoa__chanel look! Her outfit is completely complemented by the fall background setting. Her tights are basically the fall ground beneath her. Some blood-red tights paired with a comfy warm dress and jacket makes for a passionate winter look! Mixing the red of fall and the grey of winter. Another version of printed tights can be lace. With this outfit I started with “cute outfits online” tights and just kept layering. I decided the tights/leggings were thick enough to be worn as pants with a long sweater. Than I added a scarf, trench, and beanie for more warmth! My black and white work fit would have been a lot more bland without the tights. the cobalt blue adds a youthful and fun appearance to the outfit! 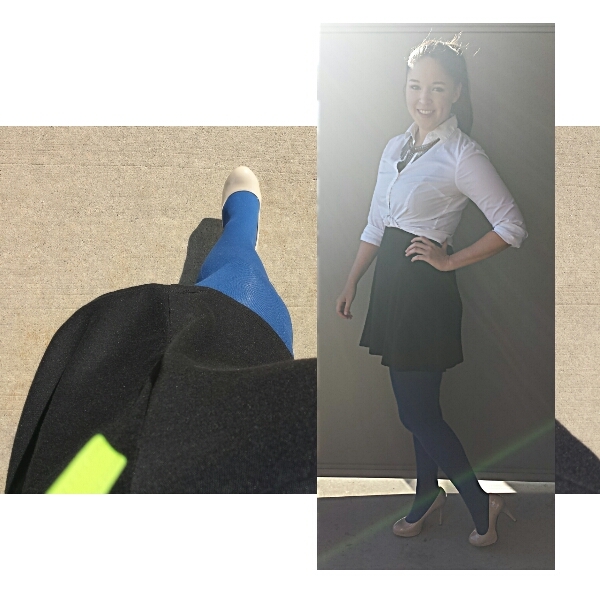 This outfit just works, from the booties to the dark blue complimented by the dark rouge. Pair rich earth tones of each colour together to pull off a similar look. 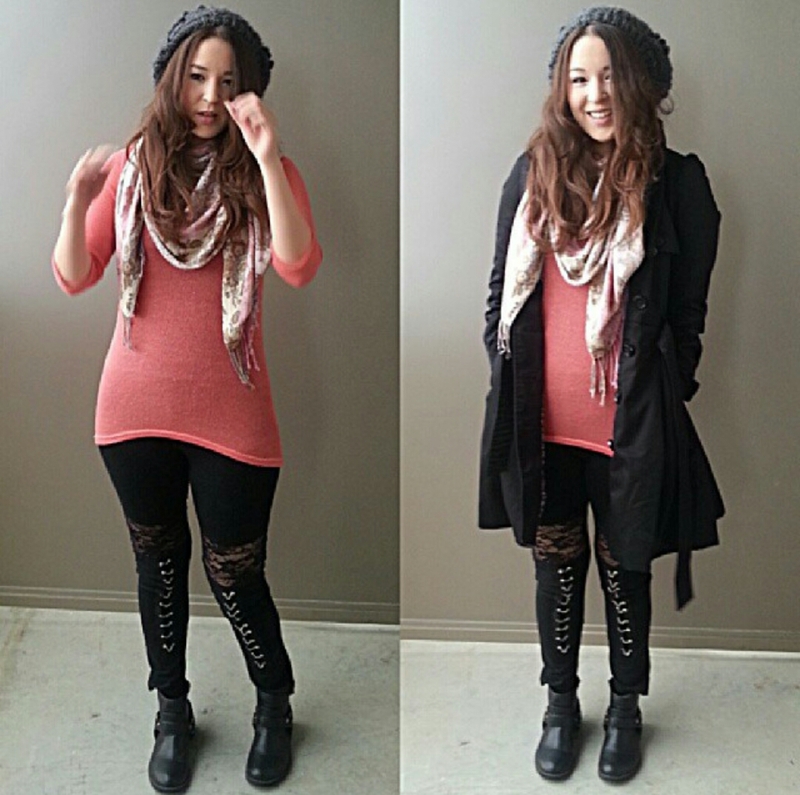 Again miss @hipsterforthemister does another fall look using tights! This time with rouge tights that have a subtle print on them. 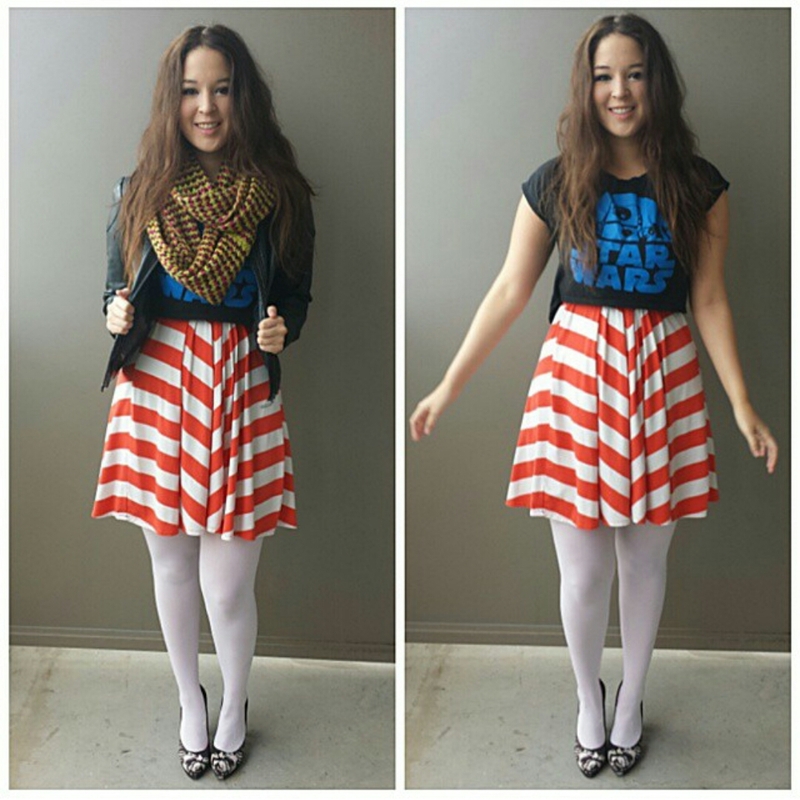 She mixes a bunch of prints in this outfit- printed tights, printed skirt, and printed sweater. The varying sizes of the print helps make the outfit not feel overpowering. …an outfit that just gets better the more you look at it! If coloured tights are little too bold for you. Try some neutral colours other than black. These grey tights I find can be used with so many palates of outfits. Ironically a neutral colour like white can be pretty bold. It is the complete opposite of the usual black tights- so it has a sense of adventure to it. Every time I add these white tights to an outfit- the outfit immediately has more funk. 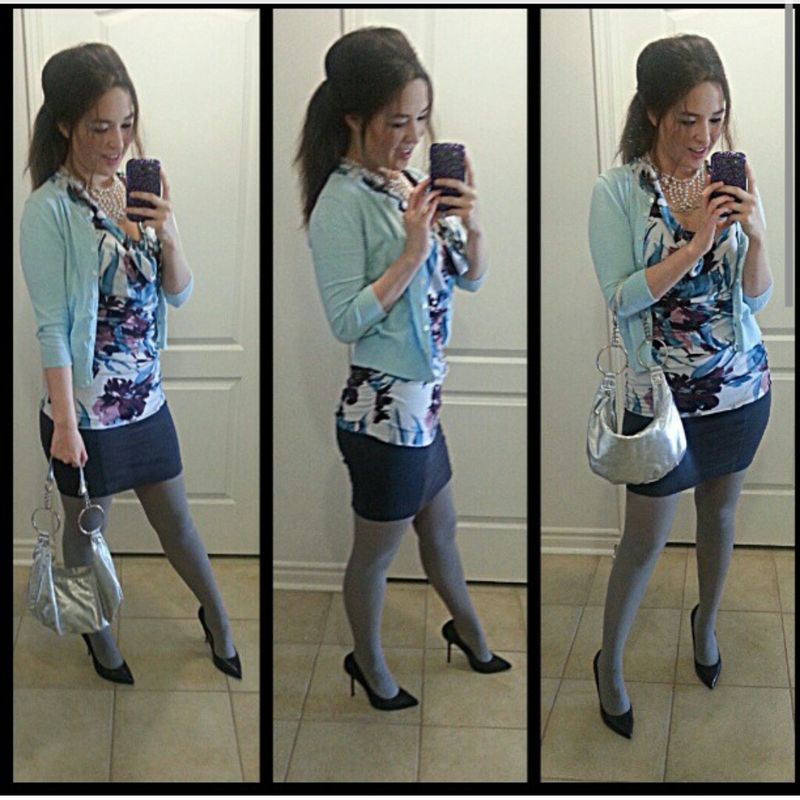 What can I say other than colour/printed tights are a must have for fall! Which outfit is your favourite? !